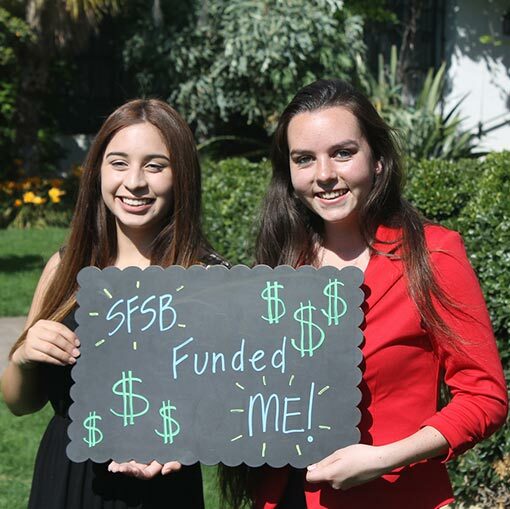 Did you receive a scholarship from the Scholarship Foundation of Santa Barbara? We are proud of your success! You are still a valuable member of our organization! Stay in touch–what are you doing now? Your story is a part of our story, and it can help further our mission. Looking to get involved? Your contribution can help today’s deserving students—students who aspire to be successful like you. Let us tell your success story in one of our publications. Speak about yourself and your scholarship experience at Foundation-sponsored events. Write a letter to the editor of a newspaper or online news site about paying for college and how the Scholarship Foundation helped you. Make a gift to the Past Recipients Scholarship Fund! Your gift of any size is appreciated and will go directly towards scholarships for the next generation of students. Your story is important to us! Every time we highlight a past scholarship recipient, more students and supporters are inspired to become a beneficiary or a donor. Your story goes a long way to support our work and we thank you for sharing. Please join us! For more information, contact the Scholarship Foundation at (805) 687-6065 or by email.